This product follows the Orton-Gillingham plan. It defines the various uses for -ance vs. -ence. 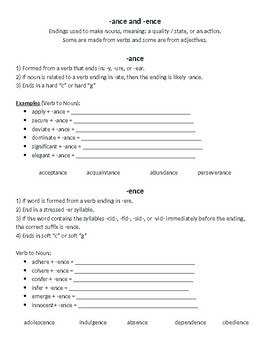 Provides examples for the students to fill in, and words to read.